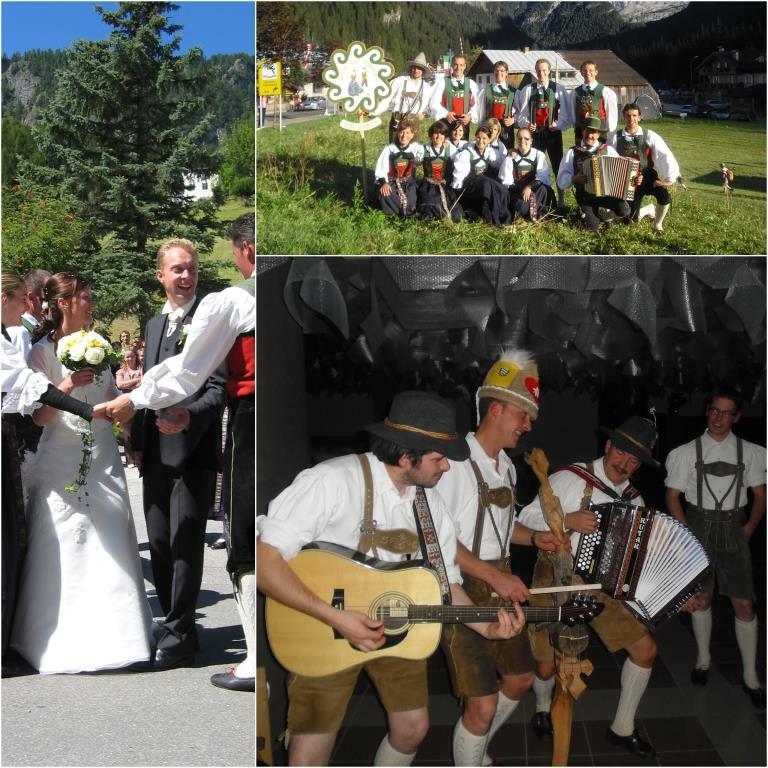 The dancing programme of the Folk Dance Group "Uniun Bal Popolar Val Badia" shows traditional Tyrolean and Austrian dances including the Schuhplattler performed by the male dancers sometimes even as a separate group. Being a cultural association we attach importance to the wearing of the traditional costume and to the Ladin identity with its own language and a naturally lived multilingualism. Apart from the various performances in the Ladin speaking villages the group is also known in the neighbourhood and has several times moved abroad where it got in touch with the variety of popular folkloristic events. Calella in Spain - Oktoberfest 2009.